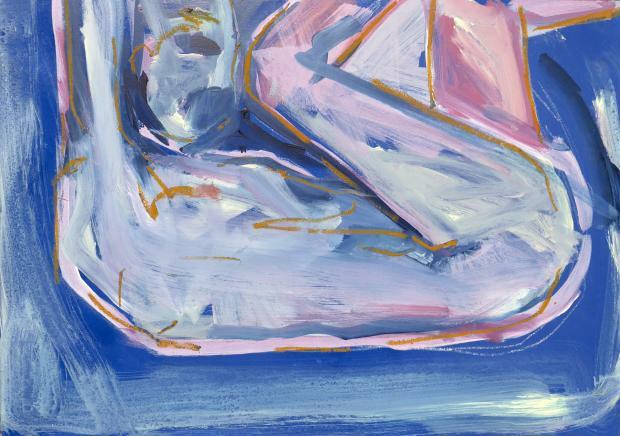 STOCK UP ON AIR is a group show consisting of eight emerging artists currently studying BA (Hons) Fine Art: Painting at Wimbledon College of Arts. The exhibition explores the possibilities that a ‘painter’ can practice with different materials, mediums and subjects. They showcase their individual interpretations of what paintings can become, looking at the medium with a fresh perspective, willing to break with traditions. The space will invite the visitors to navigate through a spectrum of work that boasts both what painting is and can be. Take stock as you flow between bold paintings, sculptures, small objects and delicate installations.